The sources told CNN there are records that show the two brothers purchased the rope found around Smollett's neck at a hardware store in Chicago. Smollett's attorneys, Todd S. Pugh and Victor P. Henderson, issued a statement to CNN Saturday night saying Smollett was angry about these latest developments. "As a victim of a hate crime who has cooperated with the police investigation, Jussie Smollett is angered and devastated by recent reports that the perpetrators are individuals he is familiar with," the statement read. "He has now been further victimized by claims attributed to these alleged perpetrators that Jussie played a role in his own attack. Nothing is further from the truth and anyone claiming otherwise is lying." Smollett's attorneys said they expect further updates from Chicago police on the investigation and will continue cooperating with authorities. "At the present time, Jussie and his attorneys have no inclination to respond to 'unnamed' sources inside of the investigation, but will continue discussions through official channels," the statement read. 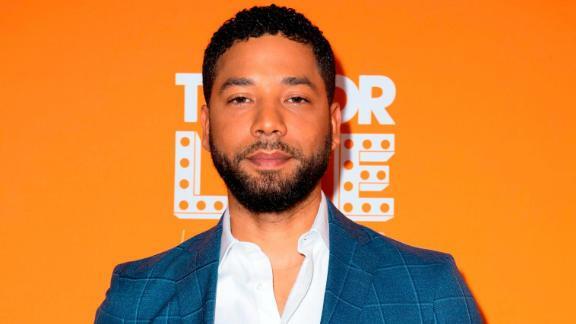 Smollett identifies as gay and since 2015 has played the gay character of Jamal on the Fox TV drama "Empire." According to Chicago Police spokesman Anthony Guglielmi, the actor told detectives he was attacked by two men near the lower entrance of a Loews hotel in Chicago. Police were told the two men yelled "'Empire' fa***t" and "'Empire' n***er'" while striking him. The two men were arrested Wednesday. Police on Friday said the men were being viewed as "potential suspects" and that detectives had "probable cause that they may have been involved in an alleged crime." But by Friday night they had been released, Guglielmi said, "due to new evidence as a result of today's investigations." "And detectives have additional investigative work to complete," he added. One of the men has appeared on "Empire," Guglielmi said. A police source also told CNN on Friday night that the men had a previous affiliation with Smollett, but did not provide additional details. Following the alleged attack, Smollett's colleagues and fans rallied around him, expressing shock and sadness. "We have to love each other regardless of what sexual orientation we are because it shows that we are united on a united front," Lee Daniels, the creator of "Empire," said in a video posted to his Instagram page on January 29. "And no racist f*** can come in and do the things that they did to you. Hold your head up, Jussie. I'm with you." Smollett gave his first detailed account of what he says was a hate crime against him, and the aftermath, in an interview with ABC's "Good Morning America" that aired Thursday. Smollett also refuted reports that said he told police the attackers wore "Make America Great Again" hats. "I never said that," he told ABC's Robin Roberts. "I didn't need to add anything like that. They called me a f****t, they called me a n****r. There's no which way you cut it. I don't need some MAGA hat as the cherry on some racist sundae."